Unique newsletter design and integration with the company's data system. Newsletter has a responsive design which reflects the identity of the company, the text is optimized for different email clients (neteisingai, bet nesuprantu kas norima pasakyti). Combining the company's data and statistics for the newsletter, it is easy to monitor and analyse the results. Our task was to create a powerful landing page for a conference. 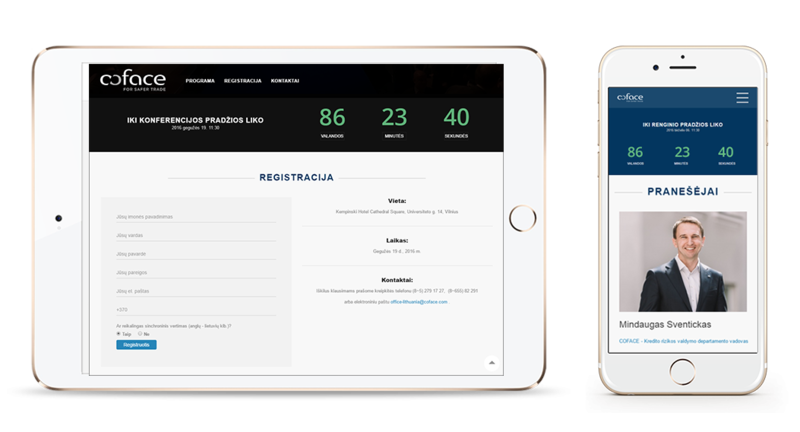 The page has a clear design, all event details, partners information and effective call to action button which leads to a registration form. The page is responsive.